Willy Woo, a respected cryptocurrency, and digital asset analyst, recently stated that the bitcoin price might likely fall below the $6,000 mark in the short-term. Since mid-May, ever since the bitcoin price failed to test a major support level at $10,000, the cryptocurrency market has been on a continuous decline. The vast majority of tokens and small cryptocurrencies have followed the price trend of bitcoin and Ethereum. On both the upside and downside, the price movement of tokens intensified, recording larger drops than bitcoin during minor corrections. On May 25, Woo noted that the bitcoin price would likely dip below the $6,000 level and test $5,500 to $5,700 as a long-term support level. In previous reports, CCN noted that the $6,500 mark is an important resistance level which bitcoin has been able to bounce off of since early January. In the short-term, it is likely that bitcoin falls below $7,000 and test the $6,500 resistance level and the failure to remain above that level will likely send bitcoin to the lower end of $6,000 and potentially to the higher end of $5,000. “NVT Signal is still too high. We need more blockchain transactional activity to justify the current price, or the price to drop to reconcile the difference. To drive up transactional activity in a bear slide is very unlikely. Volatility is still too high. I’m looking for a sustained low band of volatility which tends to be a signal for the end of the detox and the next accumulation phase. It’s still got some time to ride down,” said Woo. 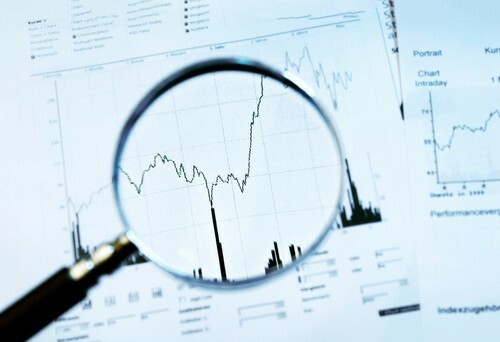 The NVT Signal is a trading indicator that analysts use to evaluate the bitcoin price. NVT Signal is a trading indicator developed by Woo, which is essentially a Standard NVT Ratio–Network Valuation divided by Transaction Value on the blockchain smoothed using moving average–except that instead of applying the moving average to both Network Valuation and Transaction Value, NVT Signal applies moving average to only the Transaction Value, creating a more responsive chart. While it is unlikely that the bitcoin price drops to the lower end of $5,000, Woo stated that bitcoin would most likely not be able to hold up in the $7,000 region and inevitably drop down to the $6,000 region. But, because of the intensity of the decline since late 2017, Woo emphasized that 2018 will not see a similar correction period as 2014 and prevent a 2-phase drop. “So, in summary, my best guess… slowish bleed down to $6800… then a steeper slide to $5700, then a leveling out of the drop… then a flat zone. This is an educated guess based on volume profile and fundamental data framing the rate of movement,” added Woo. In October 2017, after nearly doubling in price within a 3-month period, the bitcoin price achieved $5,700. Falling to the $5,700 region would essentially send the price of bitcoin back by nine months. However, the cryptocurrency market is significantly different from where it was in October. Its volumes are in orders of magnitude larger and the standard of infrastructure provided by companies like Coinbase and Gemini are unprecedented compared to the platforms that were available in early 2017. 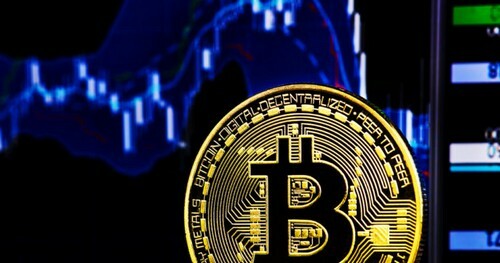 Given the difference in the volume and structure of the market in comparison to 2017 and previous years, both Woo and other analysts in the cryptocurrency sector agree that the next bull rally or up cycle for bitcoin will take less time to initiate, possibly in the third quarter of 2018. Previous Article GDPR and Blockchain: Is the New EU Data Protection Regulation a Threat or an Incentive?